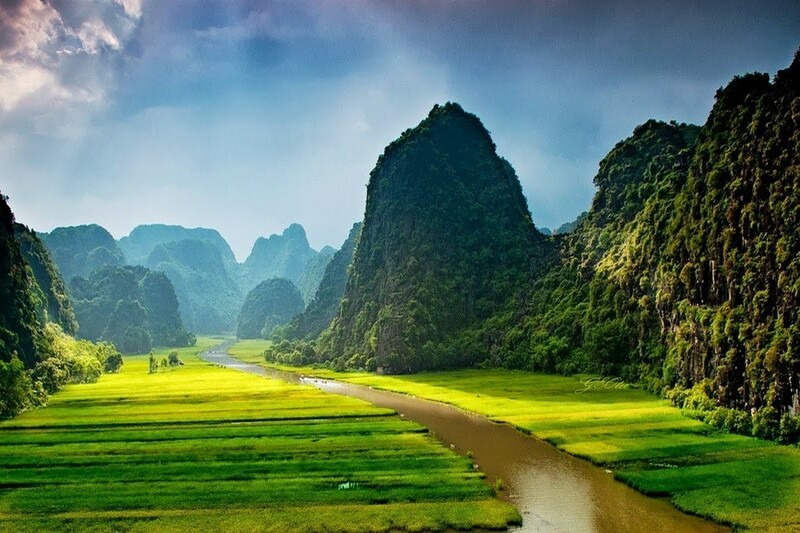 Each region in Vietnam has different characteristics. The North is famous about the beautiful landscapes with wonderful hills, majestic mountains, winding passes and a depth of historical and cultural places. 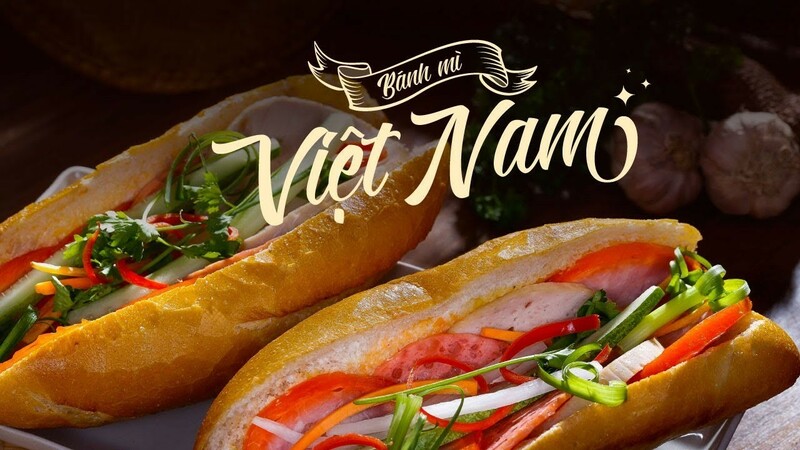 The South is a region of diverse cuisines from many famous places in Vietnam with many friendly and honest people. 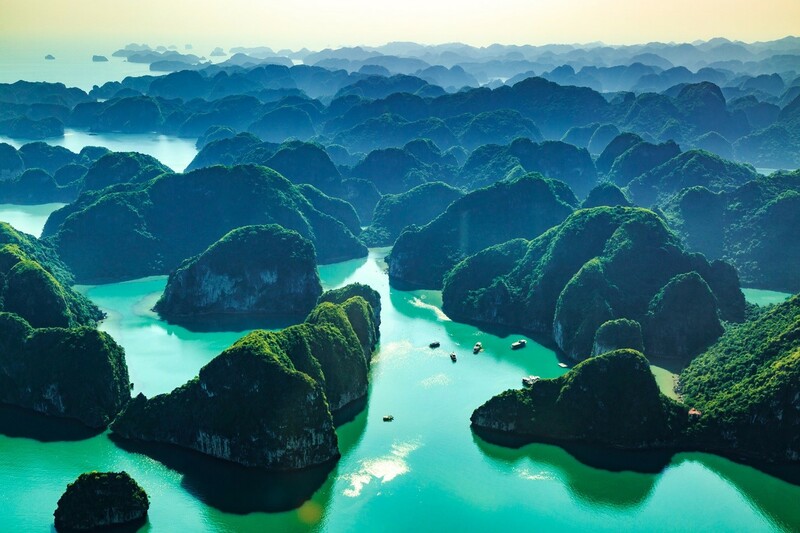 The middle of Vietnam is a very interesting point with many beautiful beaches, islands which was given by nature. Its beauty is quite desert, majestic and extremely attractive. 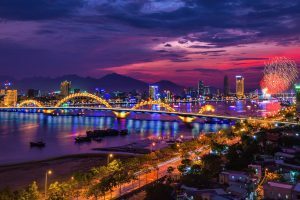 And Da Nang – this is the most livable city in Vietnam, a central city of this region, let’s experience to see what it has. This is the most livable city with civilized and modern life. 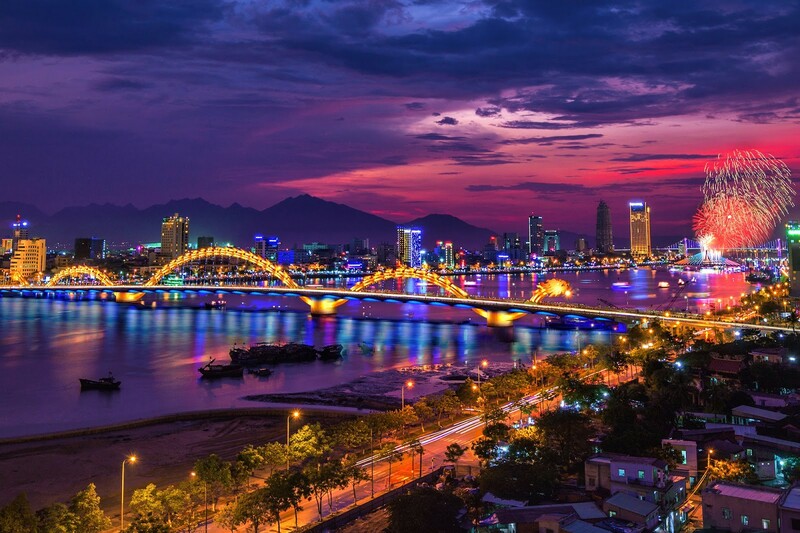 Da Nang is famous with special constructions such as Dragon bridge, Ba Na hill, Han River bridge…No matter it is in the day or night time, Da Nang is still bright on its own way and makes visitors excited to explore everything in this beautiful city. This is the city of diverse cuisines. 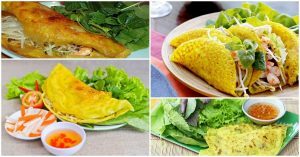 The middle is famous about cheap, delicious and tasty foods and Da Nang is one of the middle’s cities. Da Nang has modern as well as natural beauty, it is so amazing to explore what you like and also suitable for those who want to have their own space – peaceful or bustling life, Da Nang has both of it. The city of friendly, honest and happy people. The local people with regional voice easily make us impressive and interested. 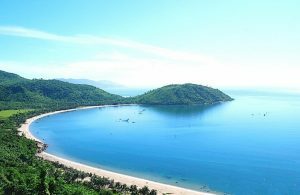 How to go to Da Nang city? Da Nang is the central city of the middle. You will easily take a flight or train to this city. Da Nang has direct airlines from some countries such as Japan, Korea, Taiwan, Hong Kong, China, etc. 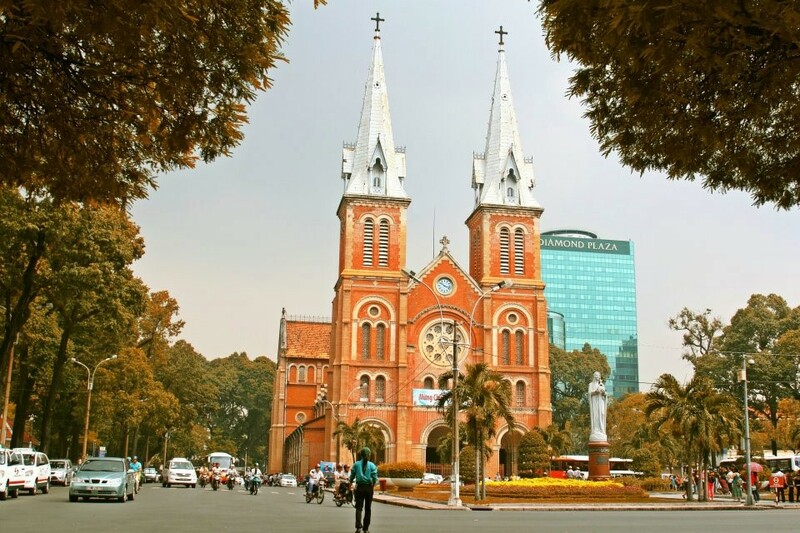 In addition, many countries can fly to Ho Chi Minh city or Ha Noi capital. There are so many flights from these two cities to Da Nang every day. If not, you can take a train to see the natural beauty along this S shaped country, but it is surely much longer than taking a flight. In the summer, the middle region is affected by Southwest monsoon, that’s why it is quite dry and hot, the temperature could be up to 40 Celsius decree. However, this weather is so amazing to explore and enjoy many activities on the beach. 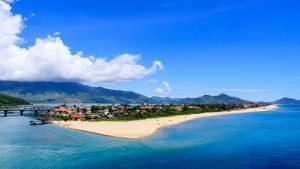 In the winter, the middle is affected by hurricanes, typhoons… From October to December, the South Central Coast has many heavy rains, so there are not many visitors in this season because of many limits of transportation. The best time to visit Da Nang is from April to August. 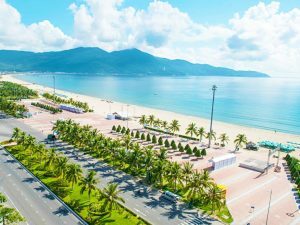 In this season, Da Nang doesn’t have many rains, it is quite sunny and suitable to visit many places and explore all of its beauty. You will easily rent a motorbike with the cheap price which is from 100.000 – 150.000 VND/day (4-7 USD/day) to explore many places around this city, even you can drive to the ancient town Hoi An – from 30 km from Da Nang city. 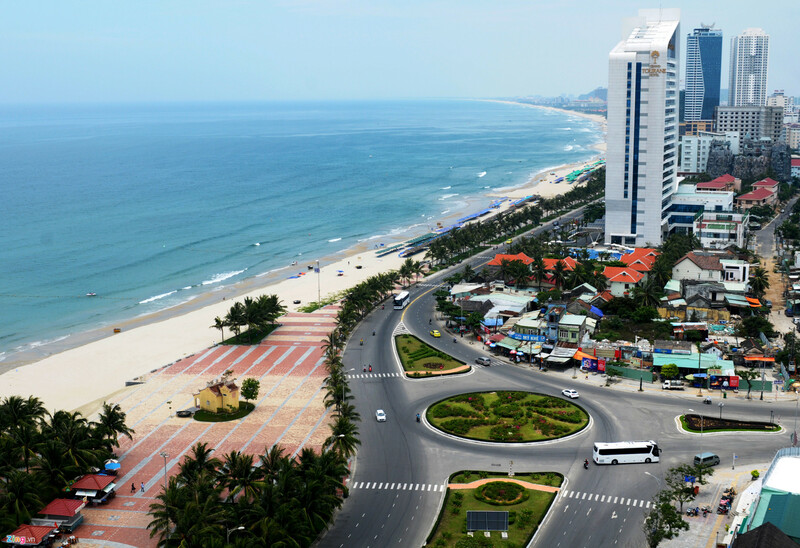 The traffic in Da Nang is quite good, so you will feel safe to drive motorbike comfortably. Grab is also a good transportation app in Vietnam. 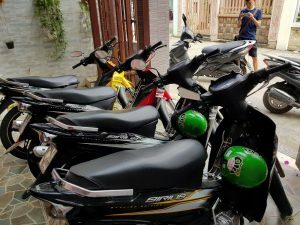 Grab bike or Grab car, it depends on your need, is quite cheap and convenient to go everywhere. Where should you stay in Da Nang city? There are so many options for you to choose a good place to stay, it depends on your need and what you want to see – river, local or beach view. 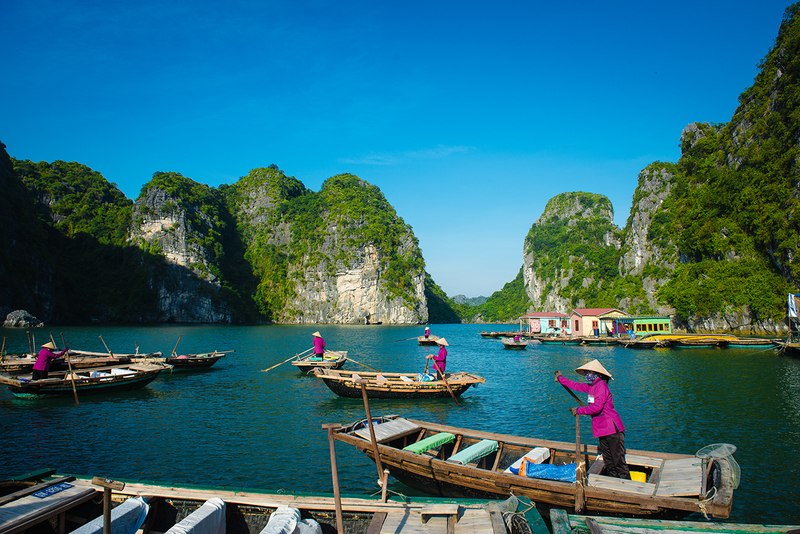 In Vietnam, hostel is not the only common pattern to stay – homestay is also a great one to experience the local life or enjoy natural views. Only 7-10 USD, you will have a comfortable dorm bed and only 20-40 USD to have a very cozy private room with breakfast included. This is a name of Vietnamese noodle made from Quang Nam province. Mì Quảng is a famous food that you should try in Da Nang. 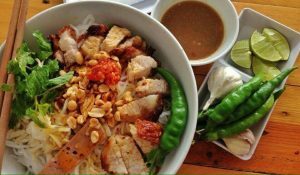 If you haven’t tried this kind of noodle when you visited here, you haven’t been totally enjoyable the Da Nang’s cuisine. 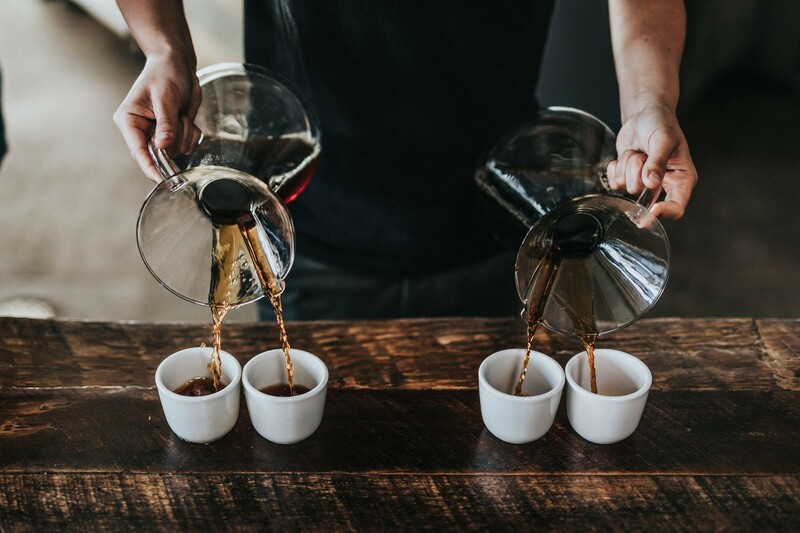 Its taste will easily make us excited and attracted a lot. Many visitors have been attracted by this crunch pancake with some kinds of vegetable. Some fish sauce will make it tastier. 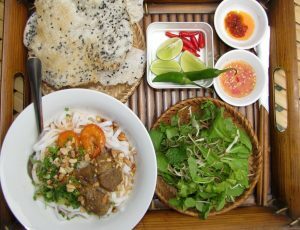 When you visit Da Nang, you can try this food – one of the best foods in Vietnamese cuisine. Xeo cake – please remember its name, it will be your extreme interest whenever you miss Vietnam. Anchovy sauce is a local special food in Da Nang. Although its taste is quite strong and smelly, but once you are getting used to using this sauce, you will definitely love it. Its flavor is only special in this region. Many places in Vietnam also have it, but nowhere has its original taste like Da Nang. That’s the reason why you should try it whenever you visit here. You can eat some gums after trying this kind of anchovy sauce. 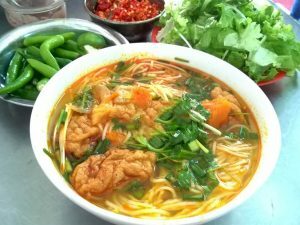 Many places in Vietnam have this kind of noodle soup, but its taste in Da Nang is very different and tasty. 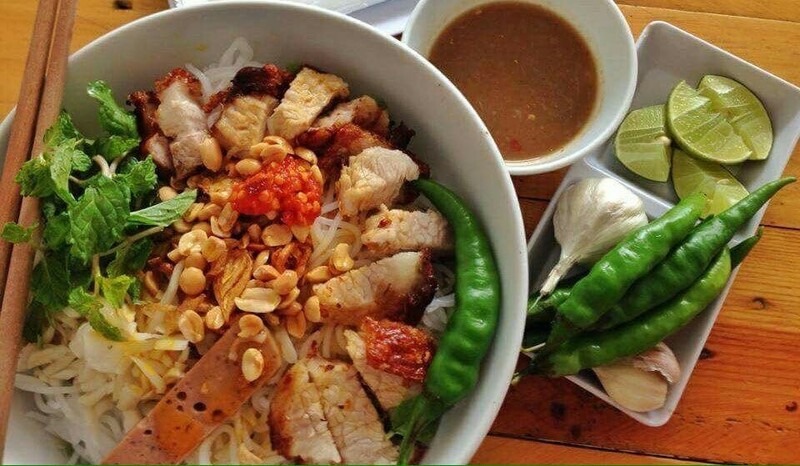 You can also put it into your list of foods that you have to try in Da Nang. Try and feel the difference with other cities. Bánh bột lọc is a small, clear-looking, chewy tapioca dumpling in Vietnamese cuisine. 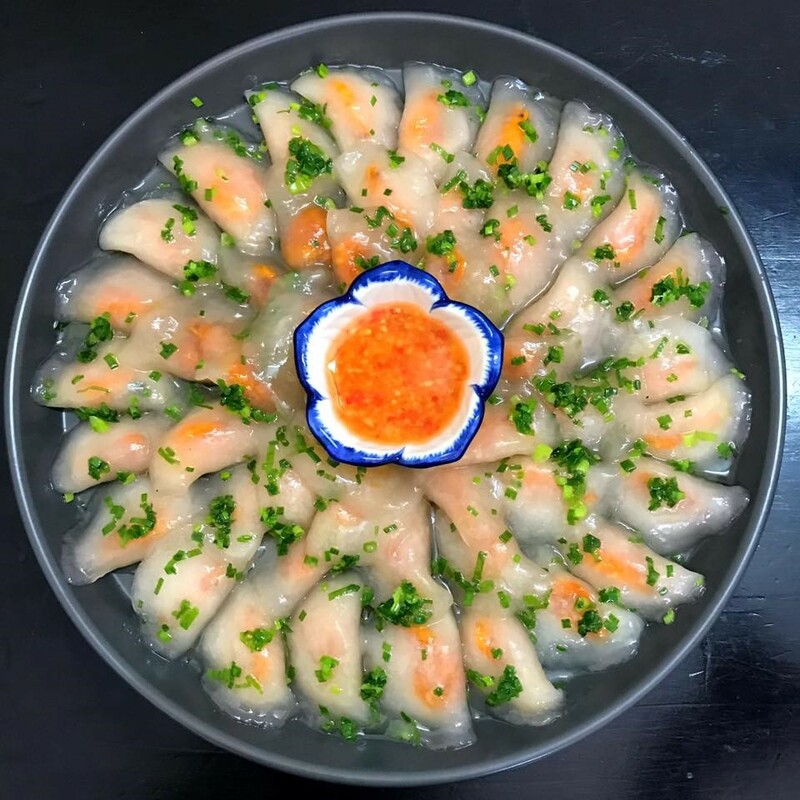 The strange shape of this food will make us attractive and excited. 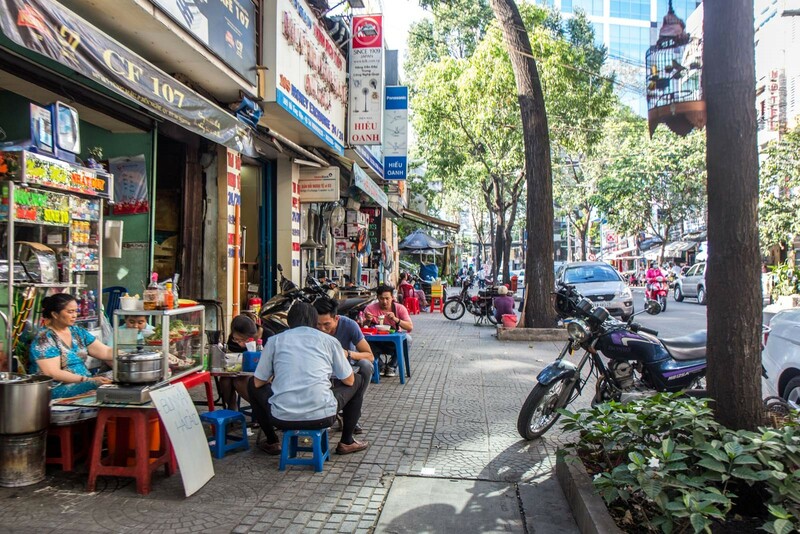 This kind of street food is only common in the middle, so don’t miss it when you visit Da Nang, it’s hard to see in the other regions. Where should you go in Da Nang? Ba Na hill is the most touristic and common in Da Nang city. 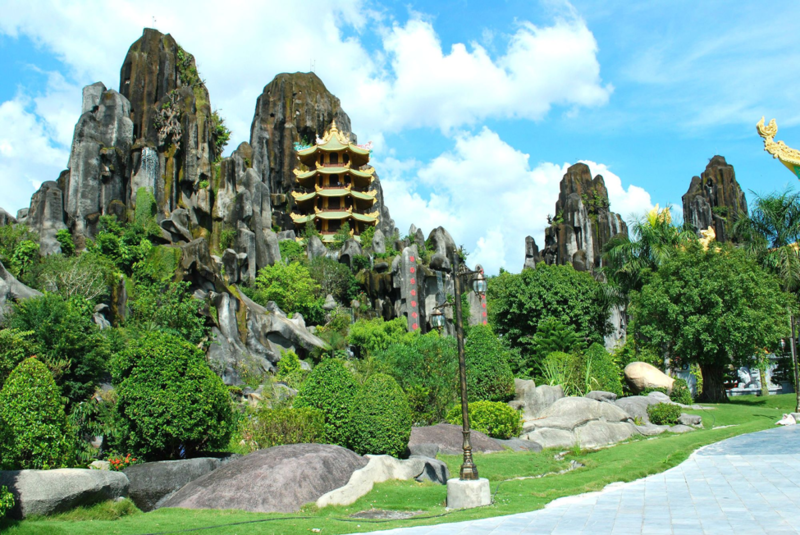 It is a hill on the top of “Chua” mountain with 1489-meter high above sea level. 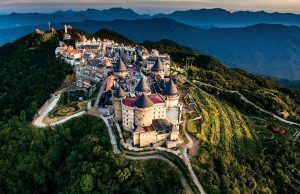 The Ba Na’s view is like a small town, the weather is warm in the whole year. 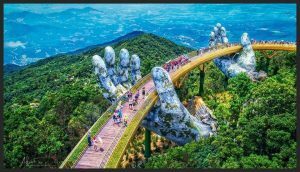 In the winter, let’s experience to walk along the “Golden Bridge” – you are likely lost in the heaven with many floating clouds around you. In the summer, it is much warmer than the winter. The view is so beautiful with blue sky, green mountains of majestic nature. Ba Na hill is always an amazing place to see in Da Nang. In the city central, My Khe beach is an amazing place for those who would like to have some rest or have fun with many funny activities such as surfing, water skiing, paragliding, motorboat…The night view of this beach is so bright and beautiful, many people love it because of some peaceful moments like that. This place will take you around 10 km towards Northeast. It was luckily given many things by nature and human with unique structures. 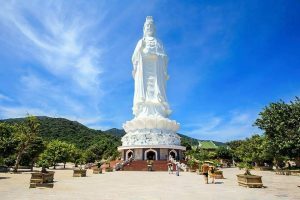 If you visit Da Nang, Son Tra peninsula should be one of your destinations to explore about the local life in Da Nang more and more. This place will take you around 8 km towards Southeast. There are five mountains located as five elements. 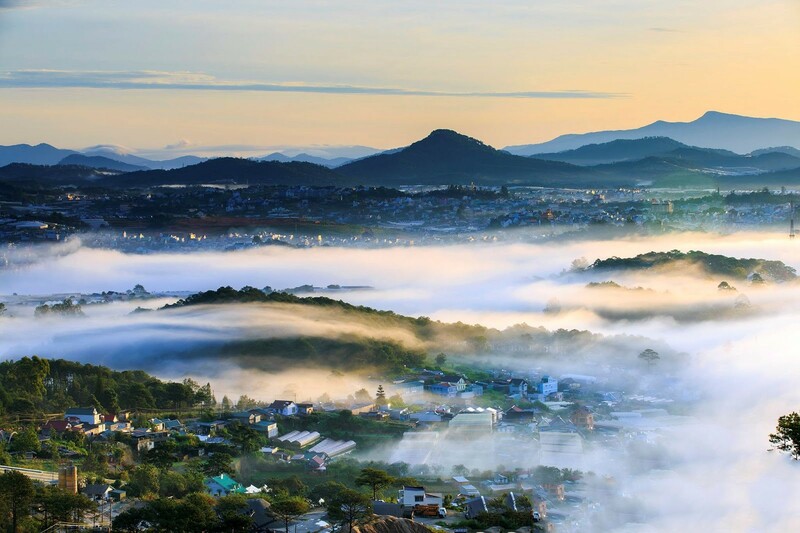 It is a masterpiece given to Da Nang city by nature. 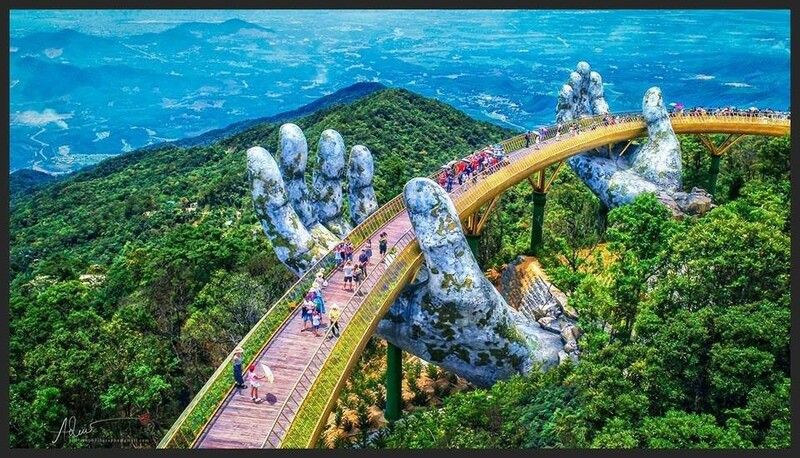 With the high view, this place looks like a hand which is fixed as a sacred land. Hai Van pass is one of four most dangerous passes in Vietnam. 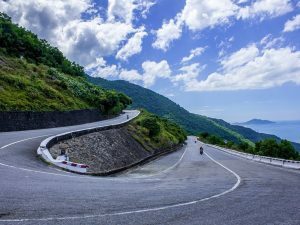 This is the road that many travelers have to focus to the highest because of its winding. This is a dividing point between Da Nang and Hue city. After this pass, Lang Co beach in Hue city will appear with very beautiful view. It is hard to describe its beauty – so peaceful and serene. This place will take you around 30 km in 1 hour by motorbike or bus. 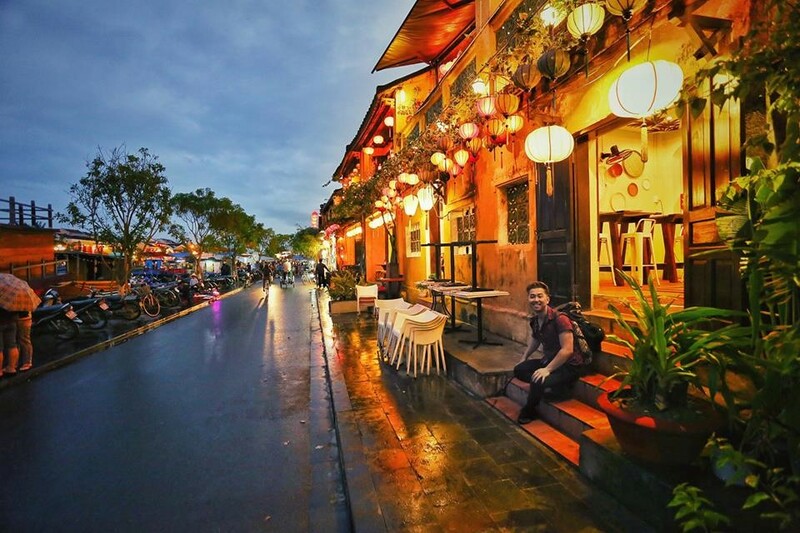 Hoi An is a famous and small peaceful town, it has been saving traditional cultures for decades. 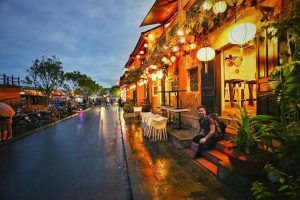 Hoi An is getting more attractive and touristic that you should give it a visit whenever you have a chance to visit Da Nang city. 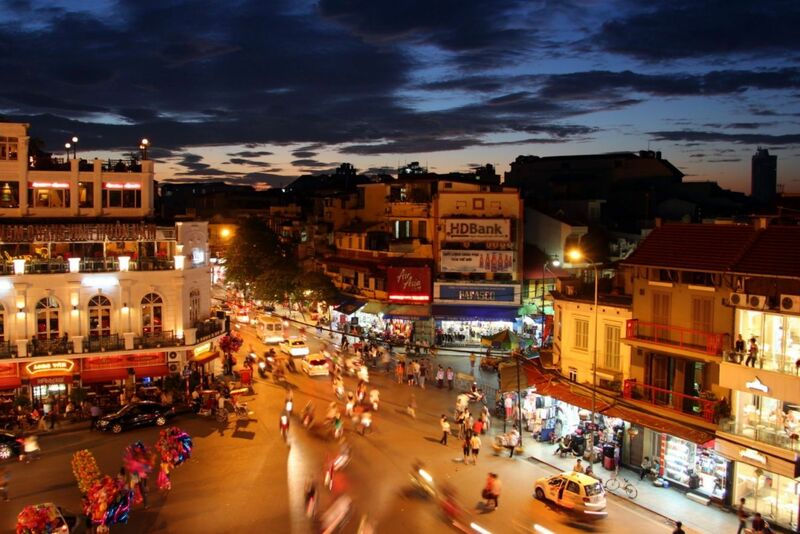 At night, Hoi An looks like a colorful butterfly with many lights and lanterns. Especially, Hoi An’s cuisine will be your great experience and make you feel excited to explore the local life. Cu Lao Cham is a beautiful island, it will take you about 1 hour by boat and only 20 minutes by motorboat. There are many beautiful beaches with interesting activities, the ecosystem is also diverse with many kinds of animal and plant. Seafood is very fresh and delicious. Especially, some peaceful and quiet places will be easily found in this island. Spending some time to enjoy and see the sunset, it is so magical because of its beauty. 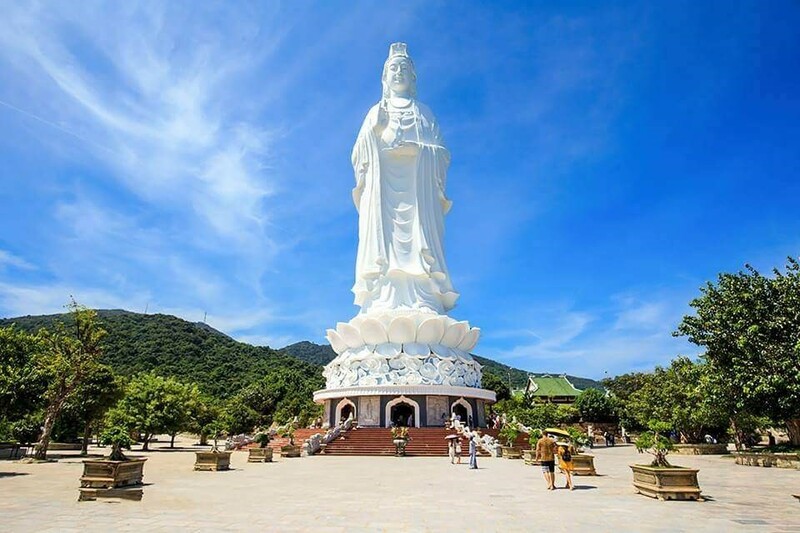 Don’t be rushed to visit Da Nang, spend more time on exploring and loving this land to the fullest. 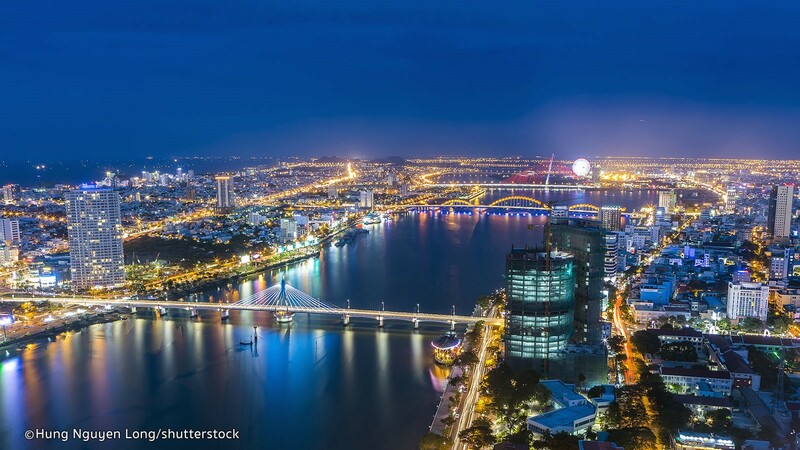 Da Nang is the most livable city in Vietnam but it has come across many difficulties and adversities in the past. It has been also affected a lot by typhoons and hurricanes every year. However, it is given many beautiful things by nature and getting much better than before. 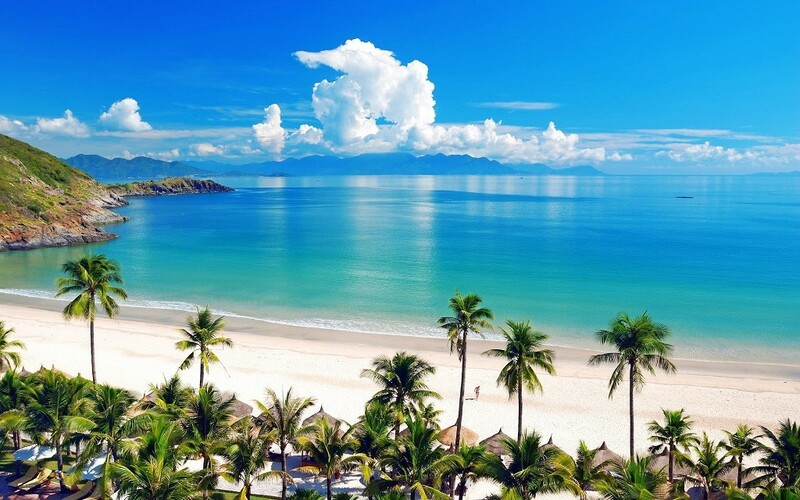 Hope Da Nang would be a memorable place with a lot of great time in your trip!